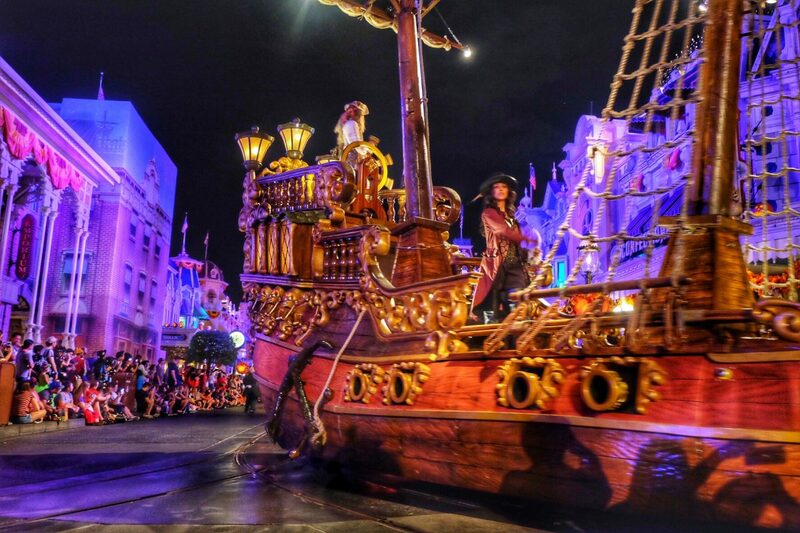 We love photo tours. 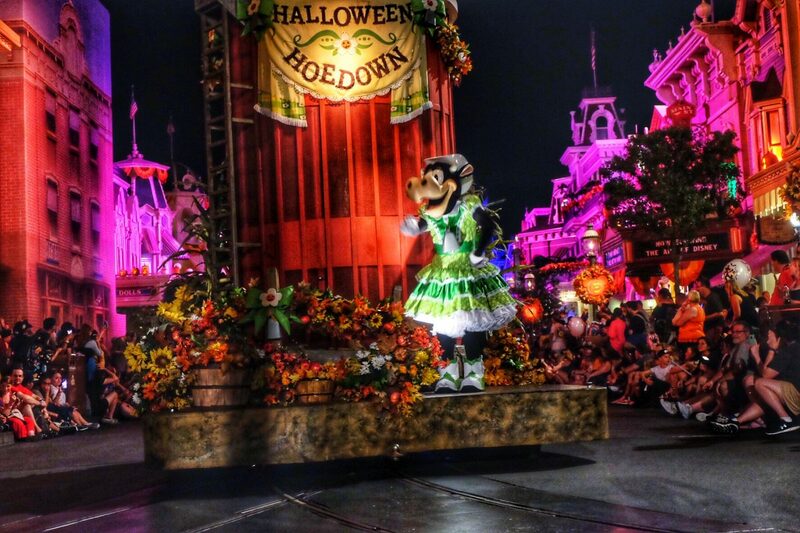 So we’ve decided to bring you a photo tour of one of our favorite things at Walt Disney World: the Boo To You Parade at Mickey’s Not So Scary Halloween Party. 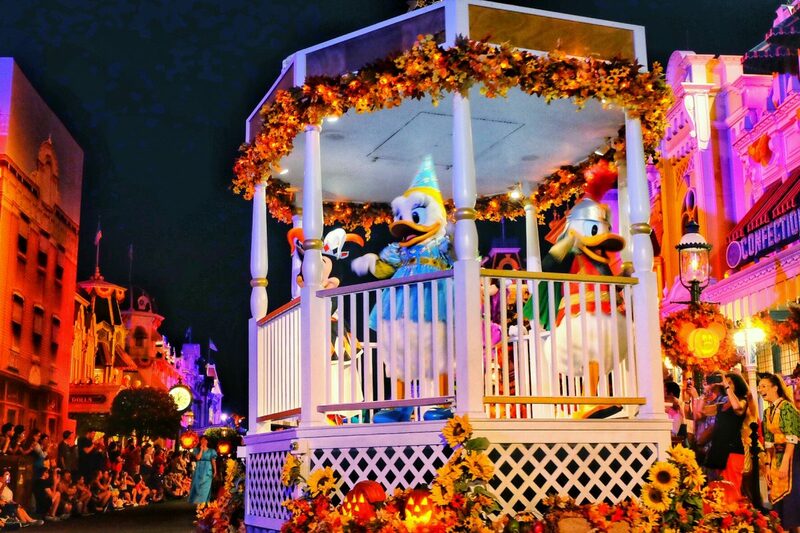 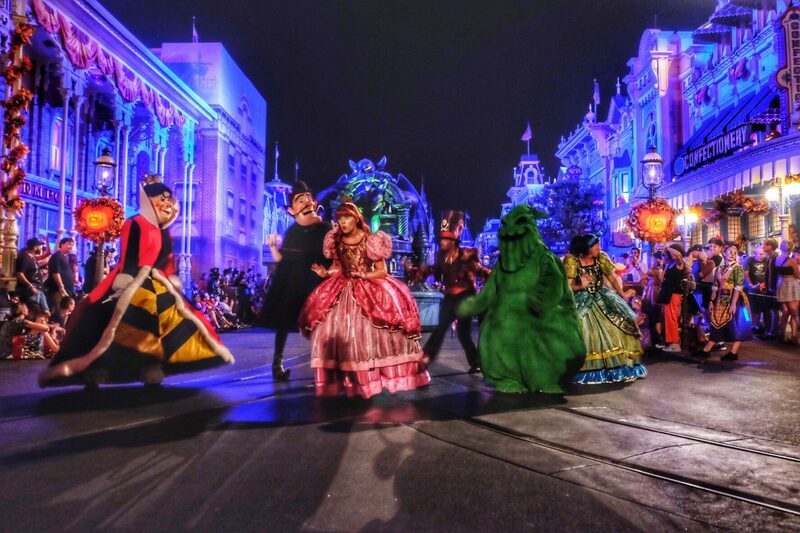 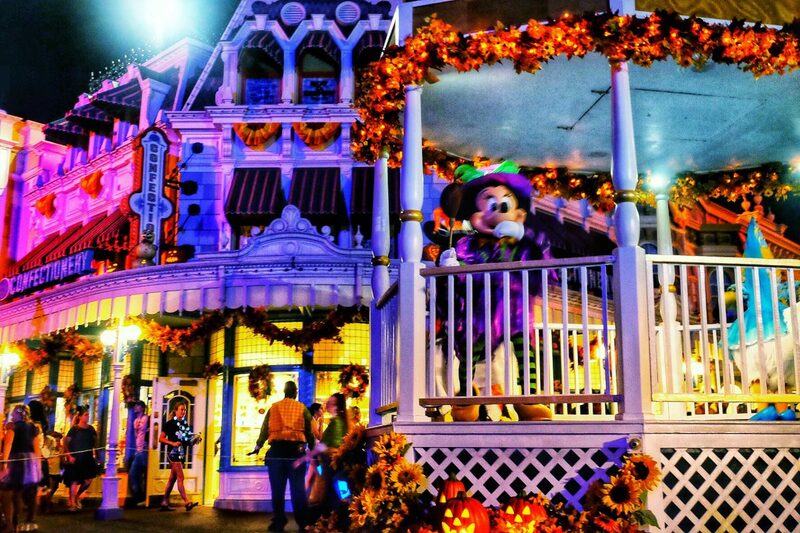 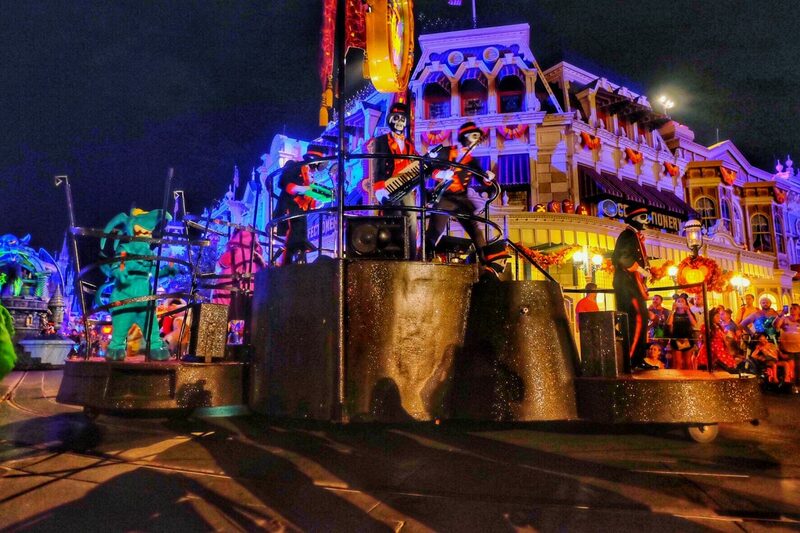 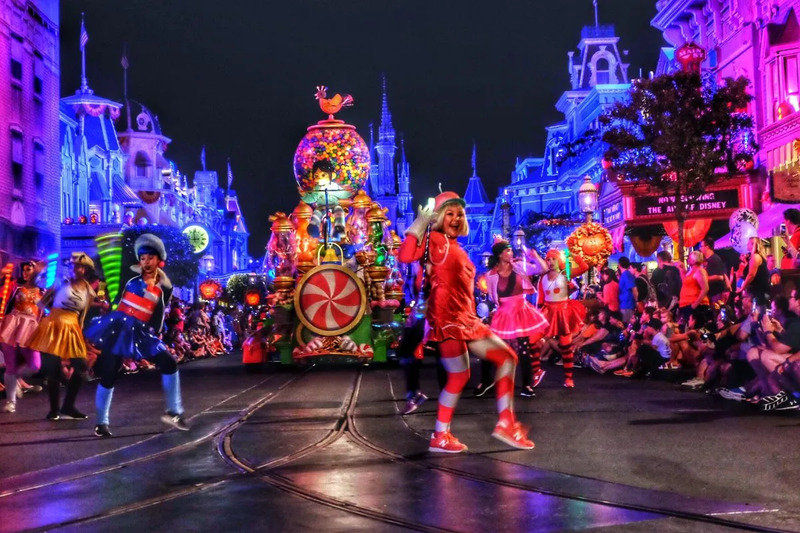 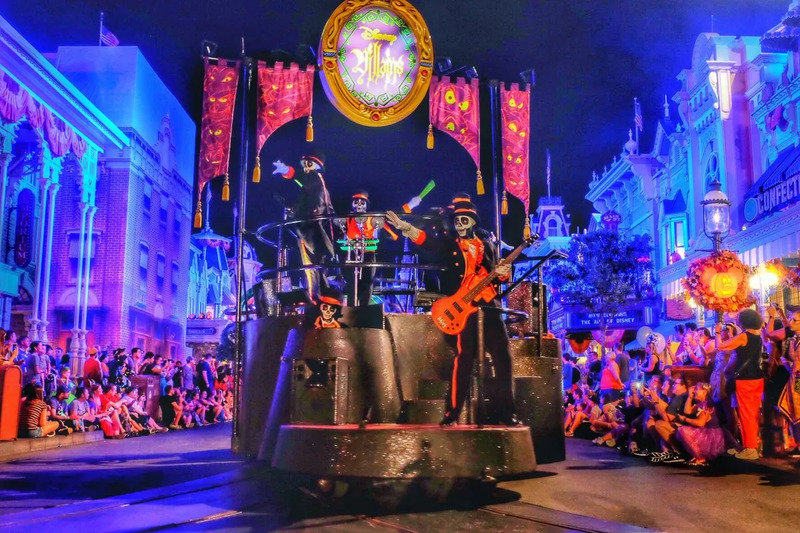 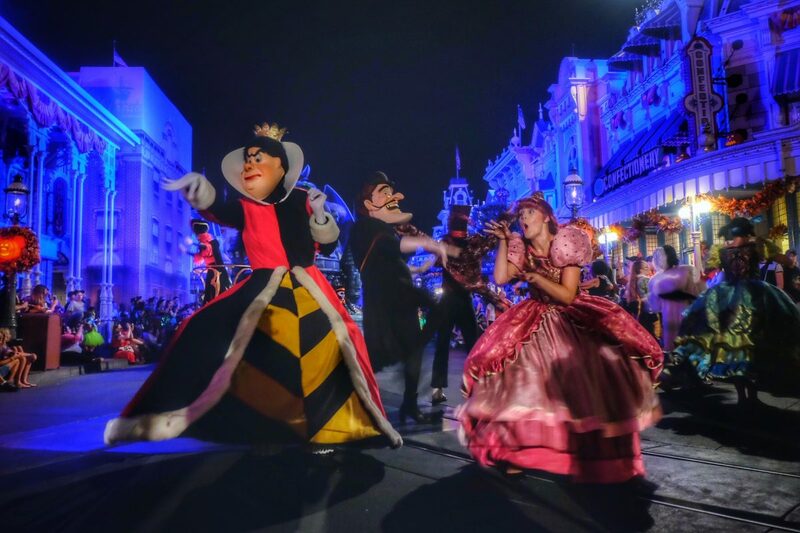 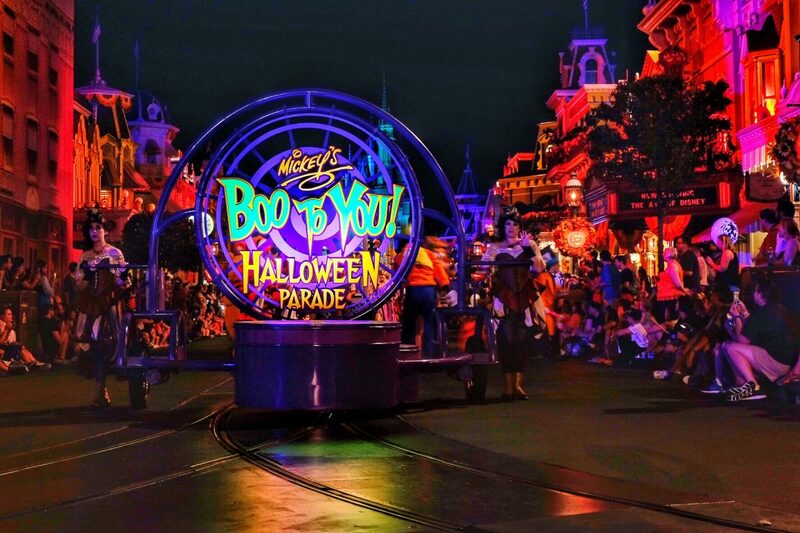 With the most perfect theming of any parade at Walt Disney World(in our opinion of course) and a soundtrack that will be stuck in your head for weeks(and you won’t even be mad about it), Boo To You is something we look forward to all year! 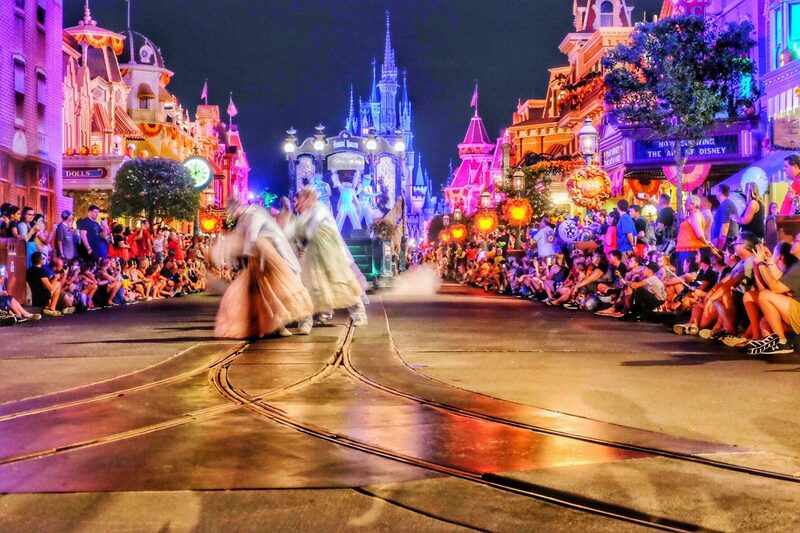 We were able to grab a spot directly in front of Cinderella Castle this year and only had to camp out there for about 40 mins. 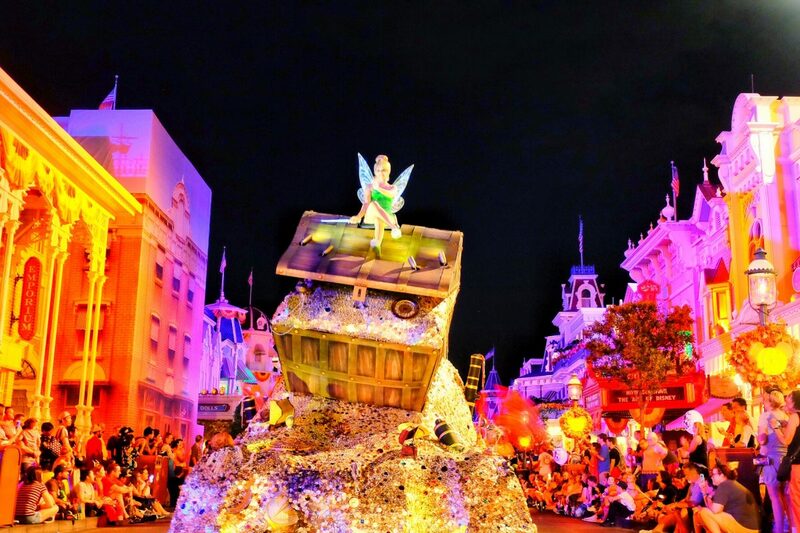 Considering this is our dream parade viewing spot, definitely not too bad! 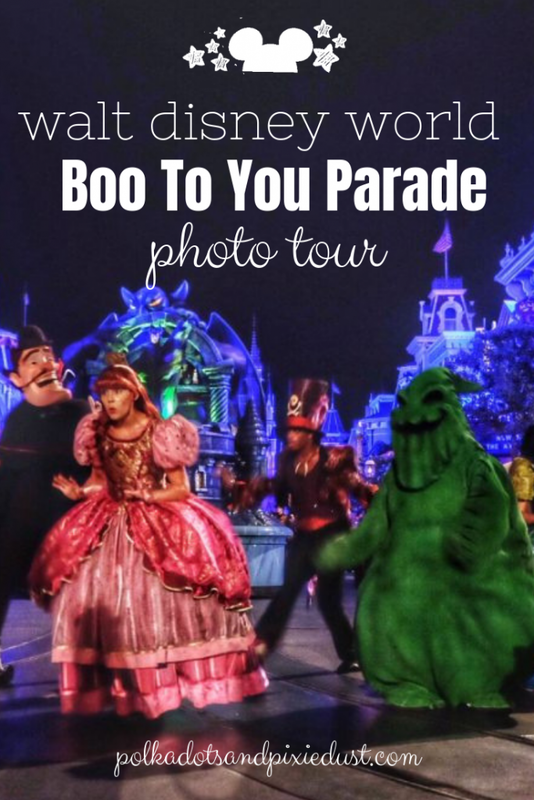 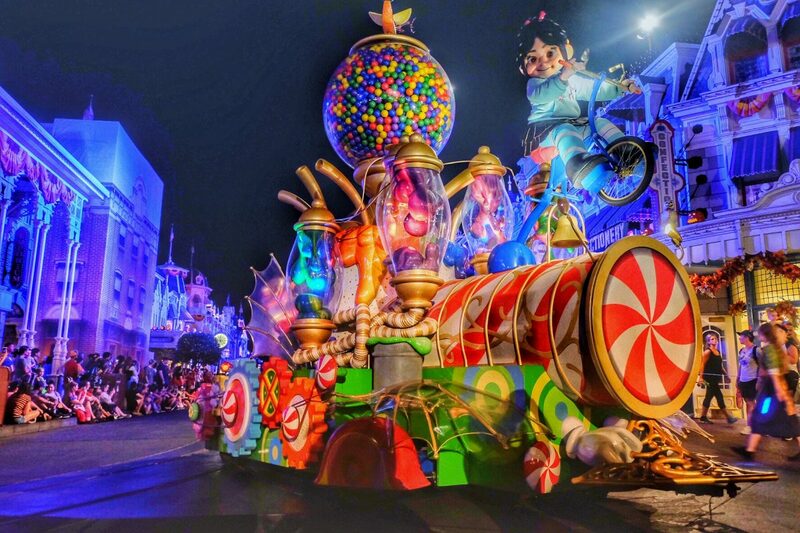 Be sure to check out our post which includes the Boo To You Parade song lyrics to so you can sing along. 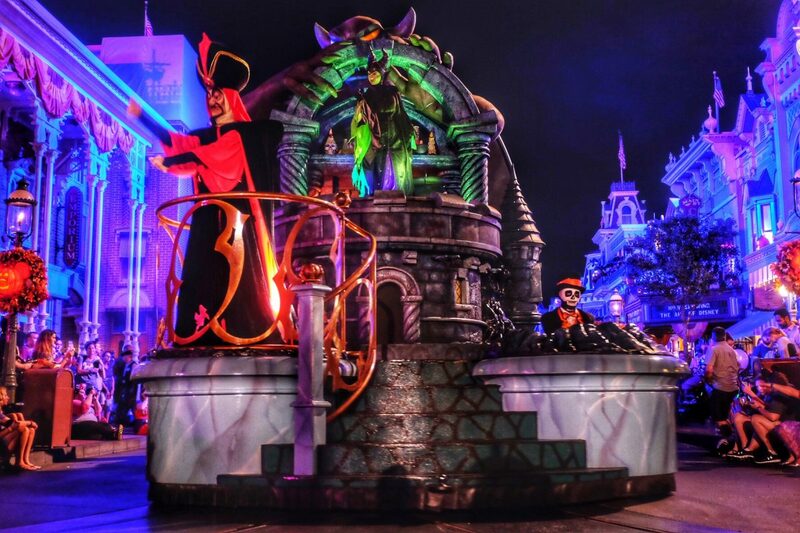 Trust us- you’ll want to. 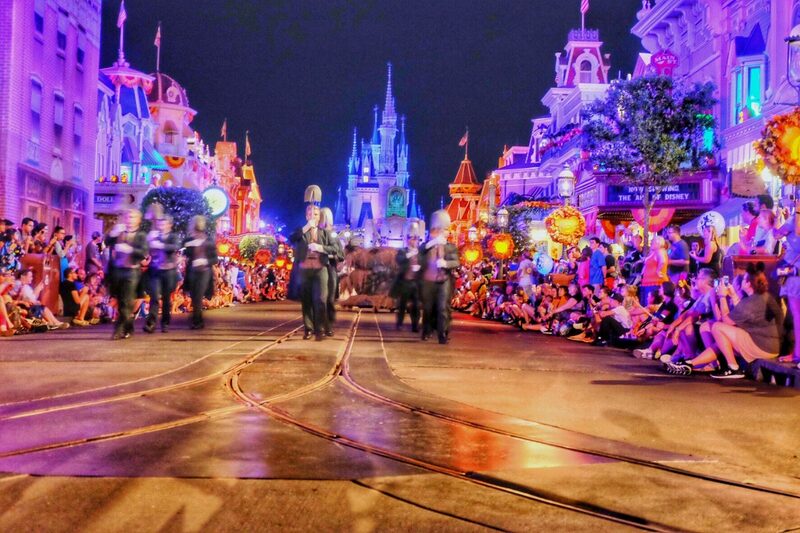 The headless horseman does NOT always come out. 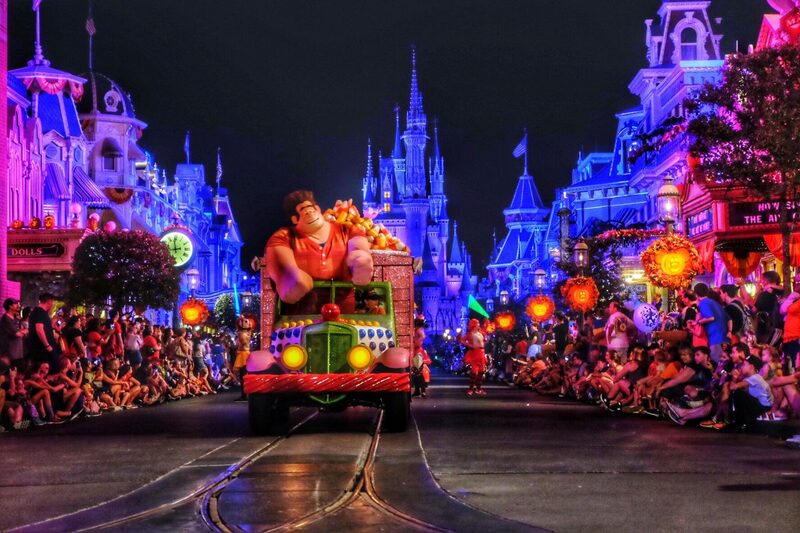 We were lucky enough to see him twice this year but there have been many years we haven’t seen him at all! 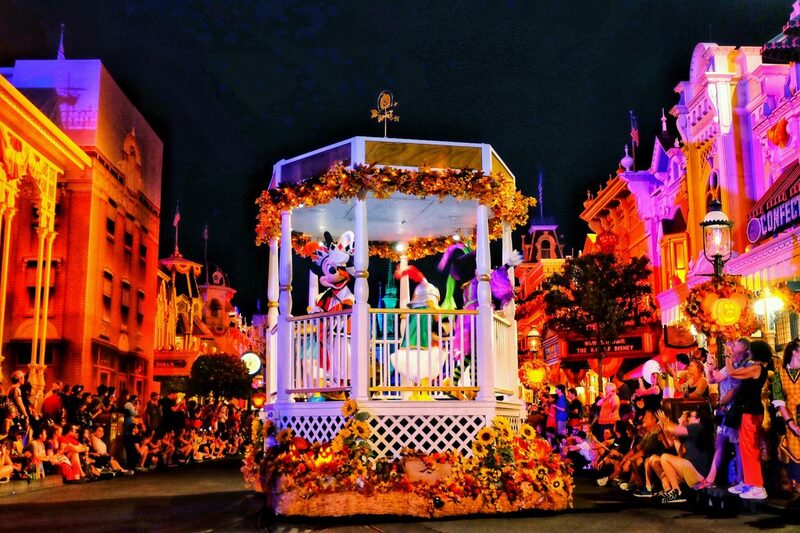 The best place to watch the parade is from Main St. We recommend finding a spot at least 30 mins prior to the Boo To You Parade starts. 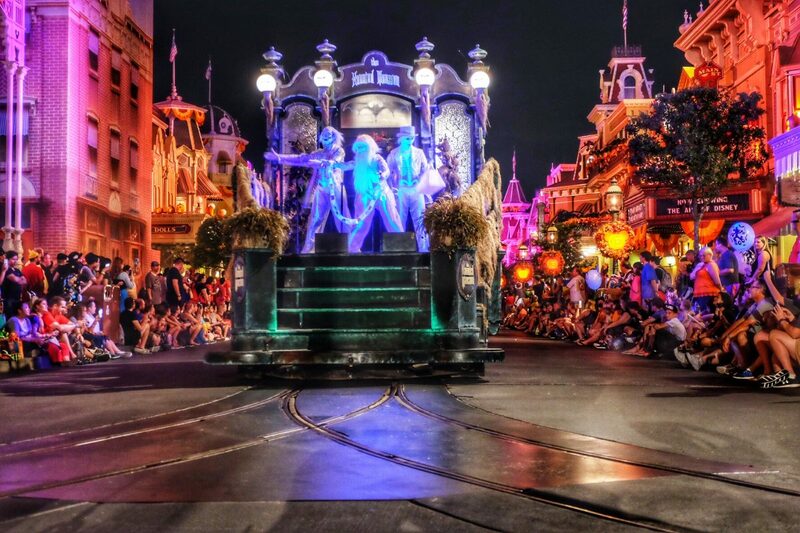 There are two showings of the Boo To You Parade; the later one will be MUCH less crowded than the earlier one, especially on weeknights. 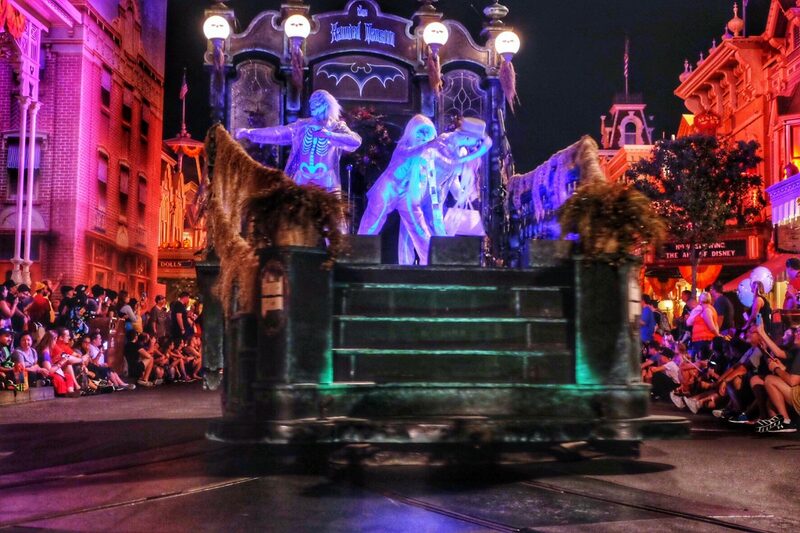 Do you have a favorite part of the Boo To You Parad? 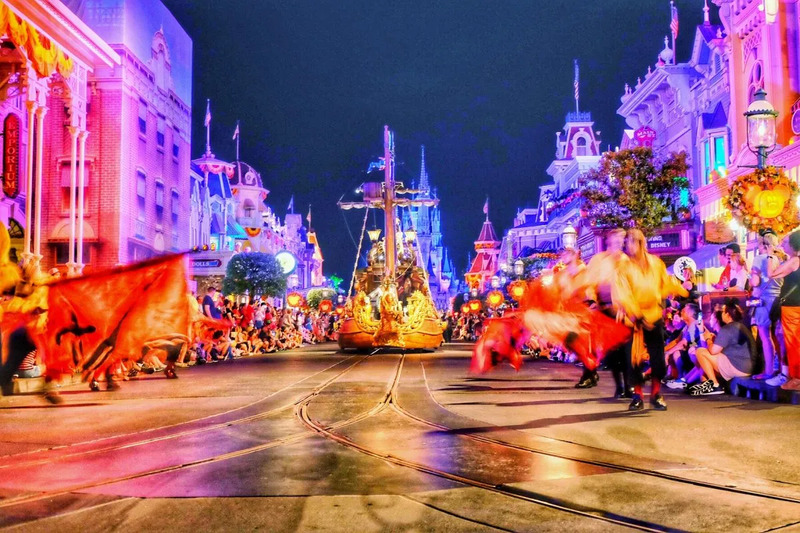 Let us know in the comments, we’d love to hear!